With MIRA I am able to schedule and organize all the information that our resort guests will see. Our first impression is a lasting impression, with MIRA we are able to add one device to our AV closet for our multiple TV displays and have a different MIRA for the other TV areas around the resort. As my workload increases throughout the season, MIRA has made the ease of set up, content creation and remote access has made my job a lot easier. I only wish there was more customization. I would like to add our logo at the bottom of every slide, date and time as well. Currently, I am unable to upload our own branded fonts or logos or backgrounds and I would love to keep all branded information uniform. Editing video clips would also be a nice instead of loading multiple clips. It is the easiest way to distribute information seamlessly throughout your business. User-friendly, easy to set up and it continues to grow as the company listens to the needs of its consumers. We no longer have multiple paper ads to rotate in case displays. Animated graphic flyers, videos, or attention-grabbing graphics deliver our message better. We're able to send Updated Promotional Materials INSTANTLY to golfers, restaurant, residents, and hotel guests. The biggest benefit is the instant changes that can be made, scheduled, and implemented from anywhere. "MIRA highlights my business when I'm not there to do it in person." I wish some of the templates were a bit easier to customize. I use the Presentation template to display my operating hours. It work for the most part, but a template specifically for hours would be great. Random loop freezing or skipping, not due to internet connectivity, occurs. If it occurs during off hours, I have no way of telling, therefore no way of rebooting the connections, or in my case, republishing. I wish there was an option for trouble notifications of some sort. I recommended MIRA to a friend who owns a sandwich shop, as she was writing out her menus by hand using lots of wall space. By using MIRA, she could not only save the wall space, but also highlight her daily specials and featured items. My business shares space with a movie theater. As moviegoers stand in line for tickets or concessions, MIRA piques interest and provides information about my business with an audience of potential customers, that may not be exposed to my business otherwise. "Great technology with a great management team"
It can display digital menus, promotional ads, video messages, youtube videos and offer a variety of capabilities. What makes it stand out is its video conferencing capability - it's like facetime but when it is used in a commercial setting with the ability to broadcast to multiple locations at the same time through TVs, it is very innovative. We have implemented the system in 20 stores and continue to roll out in more locations. The management/service team is responsive, reliable and great to work with. Video conferencing requires a user to facilitate the process and turn on the equipment. If everything can be automated with 1 single tab with no human being monitoring involved that will be incredible. It gives us the possibility to engage with our guests and stores on a more personal level. With the proper equipment, we are able to 'facetime' with our guests during an event or on any occasions that we see fit. And of course, its core digital signage functionality is a great in-store communication channel that can push any promotional messages almost instantly. Exploring how to add content to the Mira library was fun and we use photos just by uploading, typing a few lines, selecting the duration of that slide and publish. That easy. At our hotel we use Mira for the meetings/events by using our google calendar which updates each day. We change flyers according to season, holiday or special in house promotions. We also have several up to the minute news channels, such as CNN, ESPN Sports. It is fast and easy and can be done from my phone as well. Sure beats the old-fashioned reader boards! We like everything about using Mira at this time, so nothing to dislike. Don't think twice, it's easy to use and can make all of your information up to the minutes. Their support if you do have issues is quick and very helpful - and the follow up to make sure everything is working correctly is great. Also, they check in from time to time just "because". Everyone on their team is great. We recently purchased another Mira to place near our restaurant which now rotates through our menu as highlights are lunch and dinner specials as well as any special upcoming food/beverage events we have. It really updates the property -vs-printed materials. The variety of options that are available to us are limitless in regards to the ways we are able to advertise our products tat we offer, announce coming events to our patients and post fun staff facts. Creating the content has been fun and loading new creations to the screen is so incredibly easy. All of our content is organized in a library with thumbnail photos that makes adding and swapping out content so simple. The few things that I disliked I was able to voice to the creators of MIRA and they listened and applied those changes! As of right now, I cannot think of anything I do not like. We have noticed that our patients love learning a little bit about each of our staff and they are asking more questions about the products and services that we offer. "Mira displays at Wilder Auto Center"
Custom displays in each showroom allow us to message our clients uniquely, depending on which showroom they're in, while maintaining a consistent message throughout all showrooms. Easy to handle all displays from a single computer. Works on virtually any display we have in our complex. System, as of now, can not refresh the displays remotely if the display has gone off line. Requires an employee to physically unplug and reboot the Mira controller which is often hard to access as it is tucked behind the screen. Would like a refresh button via the Mira Dashboard to force a reboot remotely. We are an Auto Mall with 9 car brands. We strive to have consistent messages through the dealership, and yet needed to have brand specific ads appear uniquely in each showroom. Mira is an inexpensive and very easy solution to that. "Inexpensive and effective way to communicate with customers"
Mira is a great way to communicate with customers that are in our tasting room via the TV that we already have there. It is easy to use, easy to create content, and easy to update. There is not a lot to dislike, Mira is always adding new features that allow me to be more flexible with how I use the platform. This is really a good product with a great support team. Mira allows us to keep information on events, specials, and other items in front of our customers. A mention of our Wine Club on the display has nearly doubled our membership. A request for reviews has allowed us to increase our positive reviews on multiple platforms. We also save printing by putting menus on the display instead of having to print them out. The ability to remotely update content to keep the screens fresh really gets customer's attention. We've had many inquiries from customers in the store about content they've seen on the screens. So far, I really haven't found something I dislike! It's been easy to set up and use. Just do it! It's great, easy to set up and easy to manage. We are able to reach customers and educate them on new products, flavors and other offerings like our loyalty program, fundraisers and birthday parties. There is only so much an employee can say to a customer at checkout - if they say anything at all. The screens either compliment the live interaction or replace it if the staff fails to do so. "Central Florida Cloud Recommends Mira"
We love the ability to manage each display via the web. The well designed templates and application integrations help make the content meaningful to a multitude of domains. Mira provides a web based platform to easily manage content on these displays beautifully. New features come frequently, so check back often to keep abreast of what features you could be using next. We realized that we can rotate through a series of screens for demo and calendaring purposes for our clients. Information flow and silent sales is powerful in improving efficiency and top line margins. "A very positive and unique way to advertise within your business." The ability to transition from videos, to photos, to the weather, to the news, etc. Sometimes the product has froze and needed to be reset. I would like to see some new things added such as some form of a game or trivia. If you utilize this properly it can be a powerful tool for virtually any company. It is a way to talk to your customers when you may not have the ablity to talk to your customers. While customers wait in line they are hearing about products and how they work. When they first walk in it also gets their attention. It allows up to promote sales and display important messages. I reallly like how Mira is like a sales person for us. Even when we are home or out with fmaily, Mira is still putting in the hard work at the office. As in advertising our products and services. Really anything I want. I have my Mira in my window going twenty for hours a day. I also like how easy it is to add contect or switch things around. Mira is always coming out with updates and improvements to stay ahead of other. If I had to dislike anything it would be the size of the mira stick, if we could get it a little bit smaller/shorter thast would be awesome. Again if I had to pick something to dislike I would say the power cord. Some might need a longer or shorter one. Other than thise two things I have to say I'm really enjoying Mira. Other people around the office say we should purchase a few more. Do it! you will be happy. We have people walk in and sign up becuase they seen from across the parking lot some type of advertisement on our Mira. Mira helps us from printing out different flyers all the time and taping them to the windows. Waste less paper and be more pro envirment. Less cost to becuase we are purchasing less paper. You can do all your flyers on Mira. Easy simple and worht it. "Cool Tool - Digging the Google Studio Support (Beta)"
I really like the ease of access, interface simplicity, and the awesome support you can have added so that you can display "realtime" status from Google Studio dashboards. I wish there were more controls to help with font selection, color themes, etc. for the various available widgets. I wish we could have multiple user accounts accessing the account to update/review - so that we don't use the account like a generic account. We are able to use Mira to show helpdesk metrics, service/improvement announcements, and public service type announcements on our monitor. It enhances our Helpdesk support while at the same time letting the company know about what we can provide for their areas as well - e.g. visible digital announcements. "Great way to show your customers your product!" The screen can be customized to show any slide / picture / graph or video. Make your own slide show or use the included tools to make your own menu or any slide you would like. Tech support is great also. They are constantly improving the way you can display your content, providing you with different platforms for lots of different media, including JPG, Excel, pdf, youtube videos. ..
"The service has been easy to use and a hit in our dining room"
The platform makes it easy to update multiple screens (and sets) from anywhere on any device. I found the user interface extremely easy to use and intuitive. Teaching others in the office took 5-10 minutes at most. I would like to have updated templates more often and the ability to tweak minor things on the premade templates. It is helping our office to effectively communicate with individuals at all times key messages hat often get lost in emails, mail stuffers, etc. It’s allowed us to have a more professional workplace and share content in a relaxed manner. free to get device and you just plug into usb port. so simple to use. the product does the job. very low functionality, especially for the monthly subsceiption fee. if you know how to use ms office and use a smart tv monitor, you can plug in a usb and basically to the same thing, but you have to unplug and add new media and playing videos with images on a continuous loop is tricky. if you are a first timer like me, this is a great place to start. low cost to entry, and then you can always upgrade. just wanted to get some video and advertising (catering menu, new menu items, deeper story of the restaurant) on screens without buying a media player. "Simply Works for Our Senior Living"
Replaced our printed activities calendars and menus in our assisted living communities. Love when something changes our ability to update the calendars are just a few clicks and done. We not only save time but money by freeing up staffs to do essential tasks like giving great care and attention to our clients. Could benefit from ability to store content in folders. Right now all content is in one overly busy place. "Ideal solution if you have too many irons in the fire"
The built in templates are a bit too generic so we find ourselves mostly uploading our designer's PDFs with branding etc. Still, you can't beat the flexibility. We have absolutely breathed new life into our cafe specials program as a result, and are also able to communicate our off-premise catering and try to drive traffic to our social media. "Been using Mira for a year"
I really like how I could change my add on my cell phone or my tablet and also with my computer no matter where I am. I had a problem at 1st with some delays but I put too many photos in and they have upgraded their sticks so now I have no problem. I would highly recommend as I really like this product and the ease appears. As soon as I change something it takes about 10 seconds and on the screen. I added too many pictures and videos Uploaded and I did have a delay but they sent me the new generation sticks and I have no problem anymore. "Great idea - needs some improvements"
Mira Dashboard is missing some basic features such as copy and paste and the ability to organize content into folders. We would also like the option to add "super's" to videos and scroll bars at the bottom of the screen. They do offer 30 day trial so take it for a spin before you commit to any term. We own a gas station with a U-Haul dealer within - we are going to be using two screens - one to advertise products we sell at the gas station using videos and "menu boards" and the other for our U-Haul business. This is directly in front of the customer and we are adding menus with pricing information for the trucks and other equipment as well as all of the U-Haul moving supplies we sell. The ease of the program and the flexibility to work from any computer is amazing! I never have to worry that I'm not right at my own computer to go in and change a screen. I dislike that there isn't a launched Social Media integration yet, but I hear that is in the works! Don't hesitate to use this product, it is fantastic and the customer service is amazing! In the restaurant business people like to see pictures of what they might order. Having the ability to have rotating images and descriptions on our screens makes customers aware of what products are and what they can order next time. "Quick and Easy Digital Displays"
The online dashboard, makes it very easy to add, edit or remove digital content from anywhere. Would like the ability to use a powerpoint presentation that can be controlled with a clicker (remote control). Dont wait any longer, get started and you will love it! As a Scuba Diving Shop in Southern California, we are able to display class info, different product videos and specialized displays for meetings. Not easy from phone. Hard to match image to screen size. We use this for a church. A donated 32" Flat Panel TV, and MIRA is a great attention grabbing device for reminders and announcements. Getting information to our congregation in an attention grabbing way. People are looking for updated information rather than us having to push it on them. The entire process of setting up Mira in our stores was pretty simple. Fast customer service and a great support staff. I think that if Mira had a kinetic typography module, that would be great! An alternative way to showcase our promos without having to rely on staff or customers reviewing printed content. "Mira is convenient and user friendly. Awesome tool to have in your business. " The capability of changing our digital menu from anywhere with ease is the best part. The ability of changing it with ease in an instance. Having to reset the device sometimes after a new publish does not change on the screen. Have not had any issues yet. The upcoming updates and changes coming sound great. "Mira is my 24/7 salesman"
I'm not a design person. I can barely post to Facebook for my business. But Mira's easy to use templates got me advertising my menus and events in just a few minutes. I can update from home or hotel room, and know it's working around the clock. I don't see amything to dislike about Mira. Their custoner support is great, too! My menus and events stay current, and I can add in rss feeds that update on their own. I save time in advertising. "Streamlined our digital signage across multiple locations"
Ease of screen management from remote locations. Would like to see more sizing options than just fit or stretch for images. We can now message to captive customers easily without running a PC at each screen or updating thumb drives. "Great easy to use software with high quality output"
Mira is SO simple to use. The installation process takes minutes and is very user friendly. You can manage your devices and screens from anywhere easily! There isn't really anything I don't like. Occasional connection errors, but very minimal. Stop waiting and buy one! We are now able to broadcast feature products and new releases to all our customers at our convenience. Specials and promo videos are a breeze to share to clients. "Great product for a reasonable price!" We use it to display company events, recognize personal achievements and keep people current on all goings on in the office! It’s fresh, exciting and easy to keep current. Sometimes it restrictive when trying to import predesigned info from other sources and often it requires reformatting to display properly. Being able to keep everyone informed in an exciting way. People enjoy seeing the content and it’s easy to update from anywhere. "Great medium to reach your customers!" Mira has been a great platform for us to reach our customers throughout our showroom. From providing imagery of product to videos from our vendors to interesting news and weather info, Mira has become a one-stop medium for us to reach our customers within our store. I would like to have a few more options in themes and layouts. Ability to continually reach and interact with customers throughout our showroom. We are able to customize our message to countless points of sale using Mira. The interface is easy and the performance is reliable. No other platform comes close to replicating the hardware and software support Mira provides. There is not much to dislike, we have had very reliable performance. We are able to provide our own customers value added messaging by delivering new product information at our points of purchase. "Mira for Real Estate Brokerage"
The easy to use digital interface. Ability to schedule slides throughout my day without physically being near the equipment. After looking for solutions to provide communication to our customers, we tested several options before deciding on Mira being easy to use. Being limited to use only the plugin they offer did not provide the greatest flexible, wish it had an option to display live website so that we could use it as a whiteboard solution also with live data. The ease of implementation, uploads easy. None. Our church gets information out better and faster. Additional Templates would be great - like the new food menu one! The system either disconnects randomly, is unable to reconnect even when the system says nothing is wrong or gets stuck one image and needs to be rebooted. These problems seem to rotate and using Mira has become excessively frustrating. Serves as a visual for people waiting. "Great way to interact with employees "
I wish their where more templates throughout. "Mira is a great Idea in the making"
the size of the device and the convenience of managing different screens from the online platform. missing quite a few features, which I'm sure they will get around to as they are a very green company/product. great for marketing our products, and saves us money on printed signs and such. I would highly recommend for a company with many locations that wants to update their digital signage as easy as possible. Mira was easy to set up! We had it up and running is fifteen minutes. If you want to look professional without spending a ton of money of time GET MIRA! We haven't had any issues in the last year we've been using Mira. Our customer live the screens we've put in our restaurant - they display our daily specials, our events and greetings to our customers. It's increased our specials sales and brought us many more customers on our event nights. "Mira has been a great solution for our business"
Easy to use interface. Clean looking screens. Goes offline often with no notifications to administrators that units are offline. Still needs more content and customization options. Should be able to customize fonts and colors. Notices to clients and staff. There’s nothing I don’t like about the system, maybe If the customer service was luv e and instant is my only complaint..
"Love Mira on my Flat Screen. What my stylist's don't mention to there customers Mira does!" Putting all new adds and products out that customers can watch. Still learning so can't say. I'm still trying and learning all the other functions that I'm not using. The ease of use. Template choice is growing as well. Digital signage over stationary unchangeable signage. Amazing product that does exactly what it says. A must have for your business! "Not enough screen variations, apparatus is too big to stay invisible when plugged into TV"
Lack of different screens, and fonts. * We monitor all Mira reviews to prevent fraudulent reviews and keep review quality high. We do not post reviews by company employees or direct competitors. Validated reviews require the user to submit a screenshot of the product containing their user ID, in order to verify a user is an actual user of the product. Hi there! 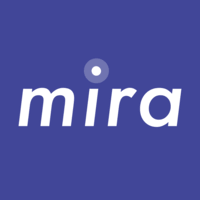 Are you looking to implement a solution like Mira?